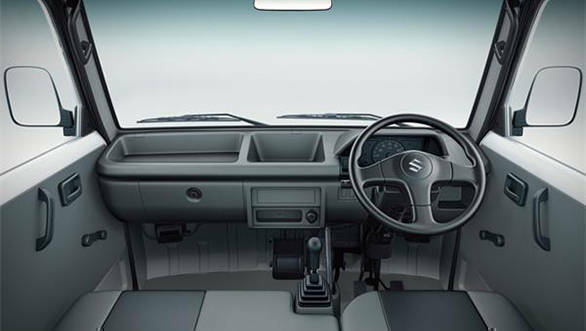 India's largest car manufacturer Maruti Suzuki has revealed photographs and specifications of its new mini-truck, the Super Carry. It's all set to launch in June this year but only for the South-African market. The Super Carry would be manufactured in India and will be shipped to South Africa in June 2016. The mini-truck measures 3,800mm in length and has a loading bay 2,180mm x 1,490mm. The Maruti Suzuki Super Carry has a total payload capacity of 750kg. It has a ground clearance of 175mm. It comes equipped with MacPherson Struts and coil spring suspension for front, while the rear makes use of a rigid axle with leaf-springs. The mini-truck gets a 1.2-litre GB-14 four-cylinder petrol engine with multi-point fuel injection system. The unit puts out 72PS at 6,000 rpm with 101 Nm of torque at 3,000 rpm. The unit is mated to a 5-speed manual transmission. In South Africa, the Super Carry would be priced at 1,29,900 Rand (Rs 5.58 lakh). 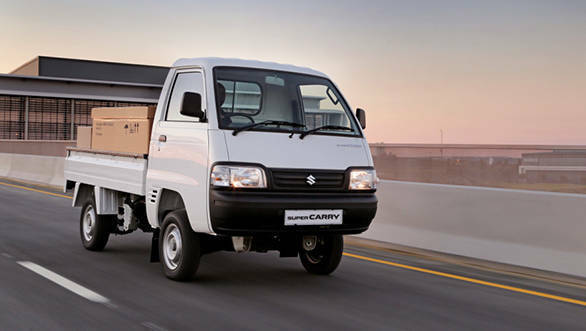 "We're delighted to introduce Suzuki Super Carry to the SA market. It arrives at a time when cost-efficiency, affordability and value for money are key requirements for small businesses and entrepreneurs seeking an efficient, versatile and robust utility vehicle," said Charl Grobler, manager of product planning and sales at Suzuki Auto SA. Grobler further added, "Suzuki Auto SA is particularly proud that the new Super Carry will be launched locally ahead of other markets. It proves that Suzuki considers the SA market an important one and shares our view that the Super Carry has tremendous potential here." The manufacturer is slated to bring it to the Indian market by later this year. Going by the size, payload and pricing figures, it would be in direct competition with the Tata Ace. The new Maruti Suzuki Super Carry Turbo commercial vehicle will be powered by the same 0.8-litre turbodiesel motor from the Celerio. The engine in the hatchback is known to be a sprightly unit but doesn't boast the best refinement around. In a LCV, this shouldn't matter much though as in our opinion, the NVH levels should be better than competition. However, Maruti may also offer a CNG/LPG fuel option.